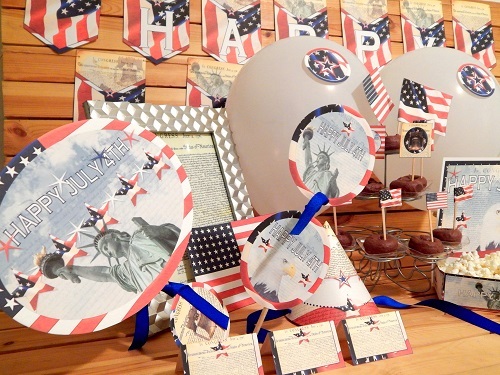 July 4th printable party decorations are perfect for the celebration of independence day. 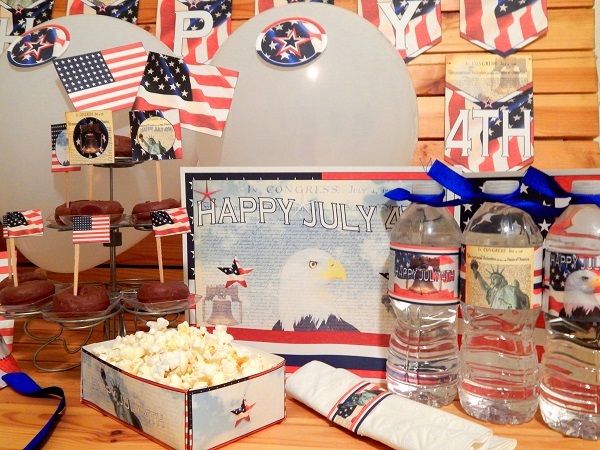 You'll see awesome traditional fourth of July colors of red, white, & blue. 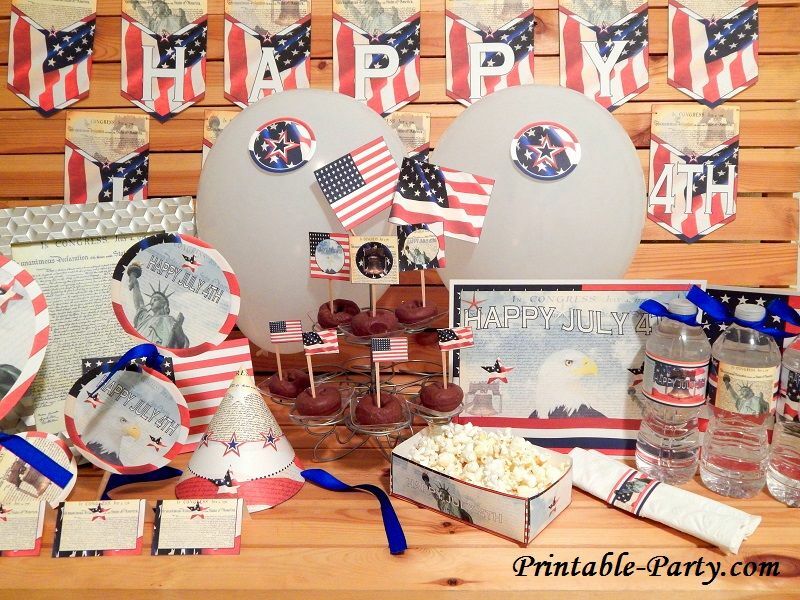 This design includes fabulous intertwined images of the liberty bell, the statue of liberty, the bald eagle, the deceleration of independence, & the flag of the United States of America. All digital item purchases will be available for you to download instantly via file link after redirection from the payment processing page. Orders will also be sent to your valid email address along with information & details. Print as many pages as you need year after year. All purchased digital files can be opened to be viewed, or printed by using the Free Adobe PDF Reader Program. 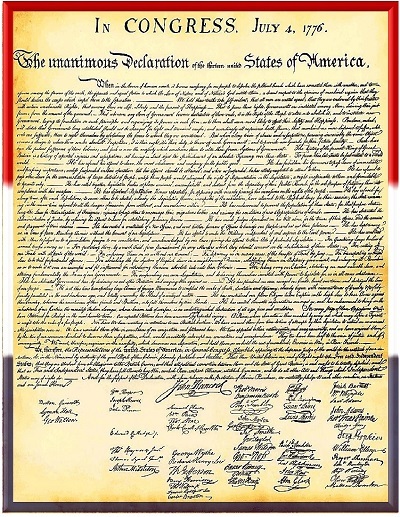 All of our digital files are created to be printed onto 8.5x11 inch paper. Using a thick quality paper always looks best. Files can be printed at home or your office. You can also save your purchased files onto a flash drive after downloading, to be taken to your closest print shop or office supplies store office depot, staples, etc to be printed for you. Simply specify the page numbers you'd like, the amount, & paper type you'd like for them to print on. If you have any further questions please View our FAQ or Contact Us for more information.